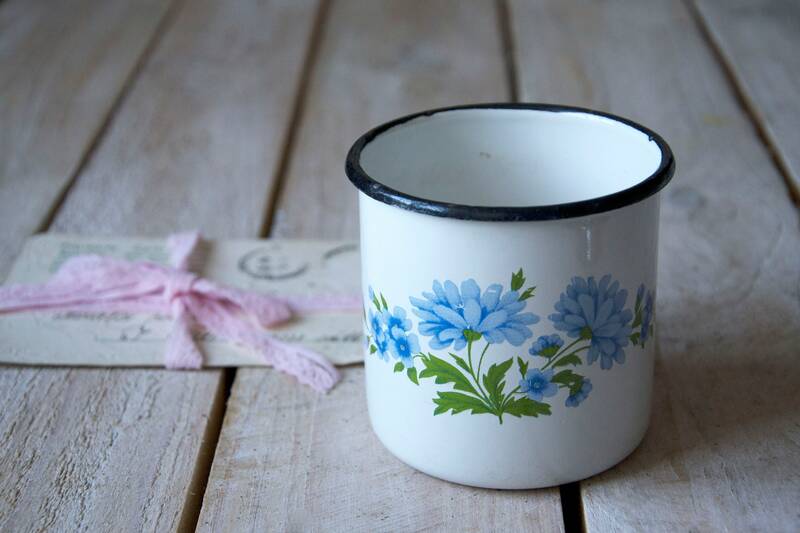 Lovely enamel cup. 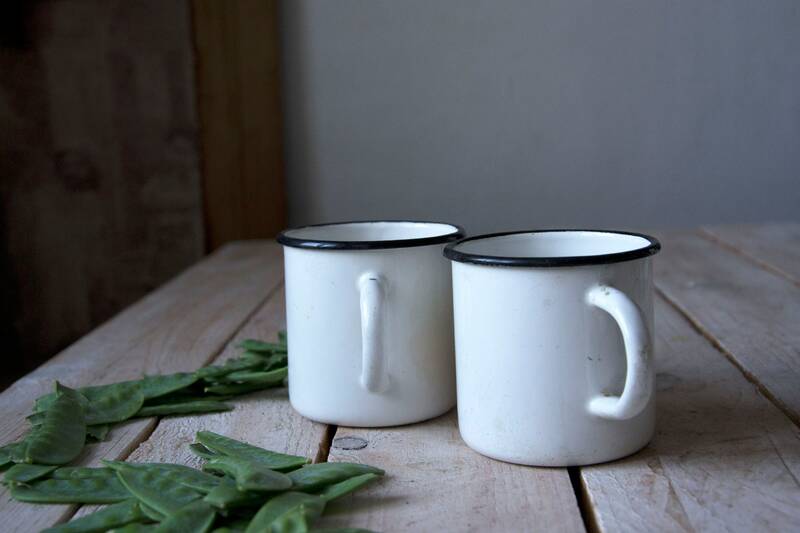 White enamel mug with black rim. 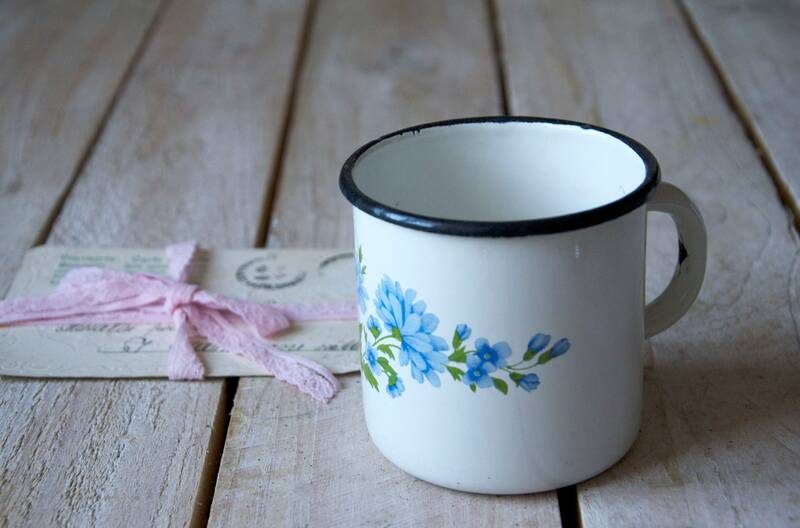 Factory marking on the bottom. 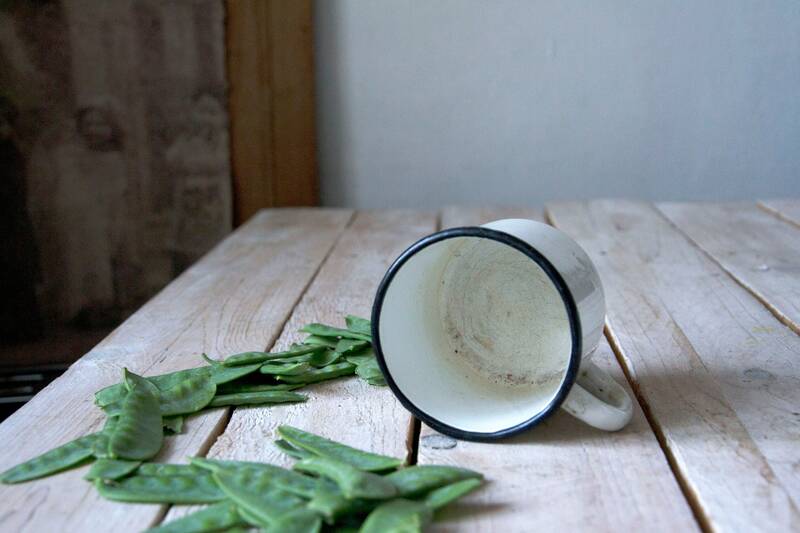 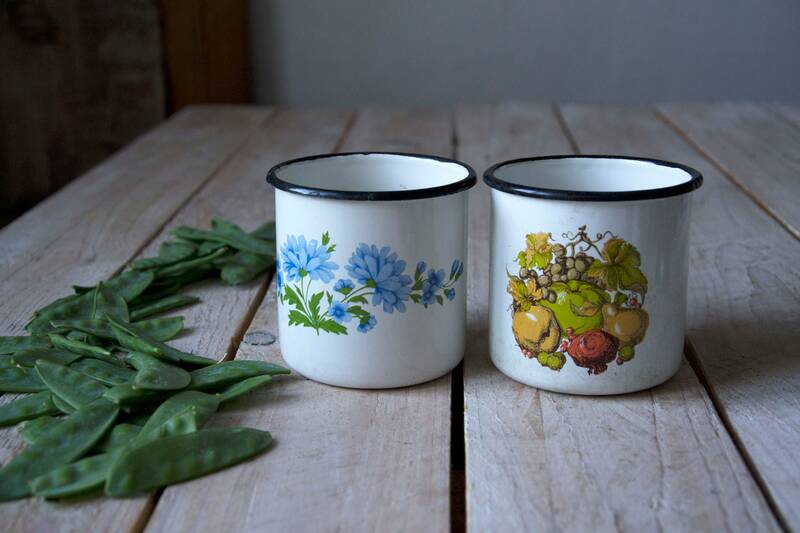 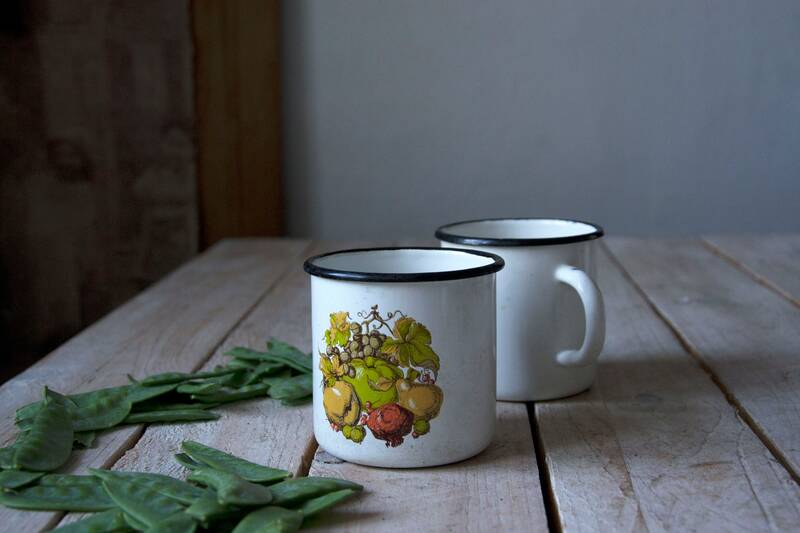 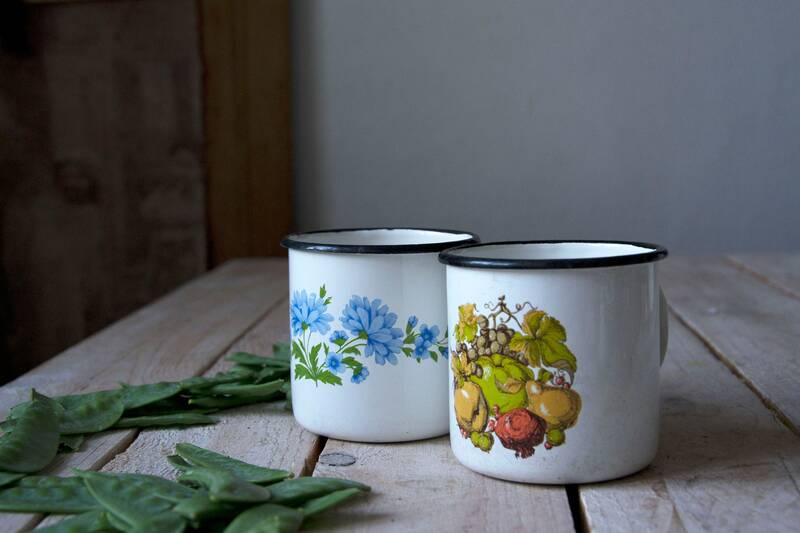 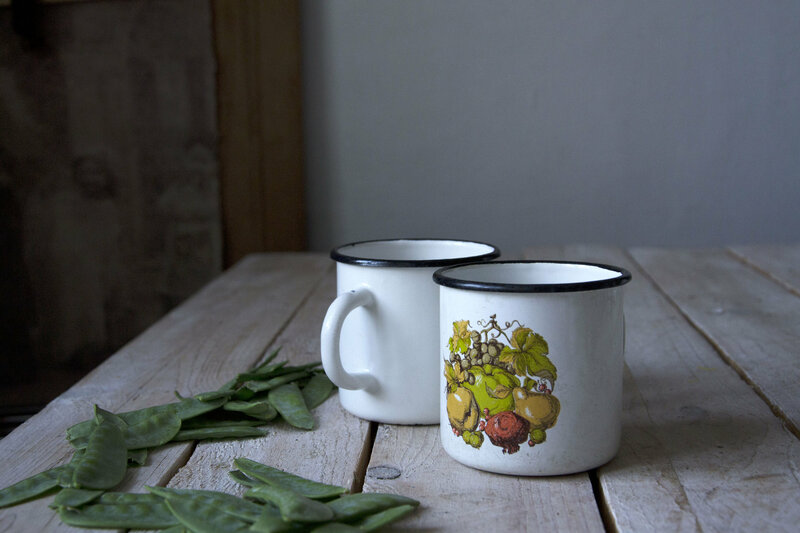 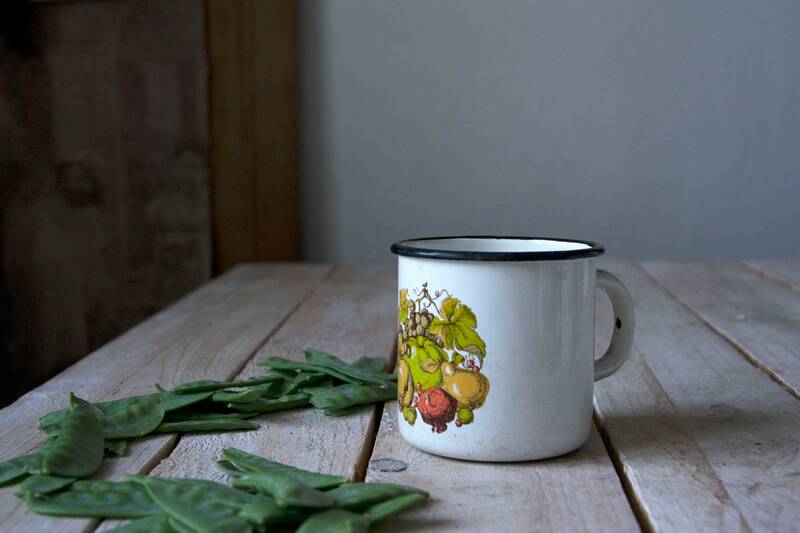 This beautiful piece of rustic enamelware makes a charming addition to your kitchen. 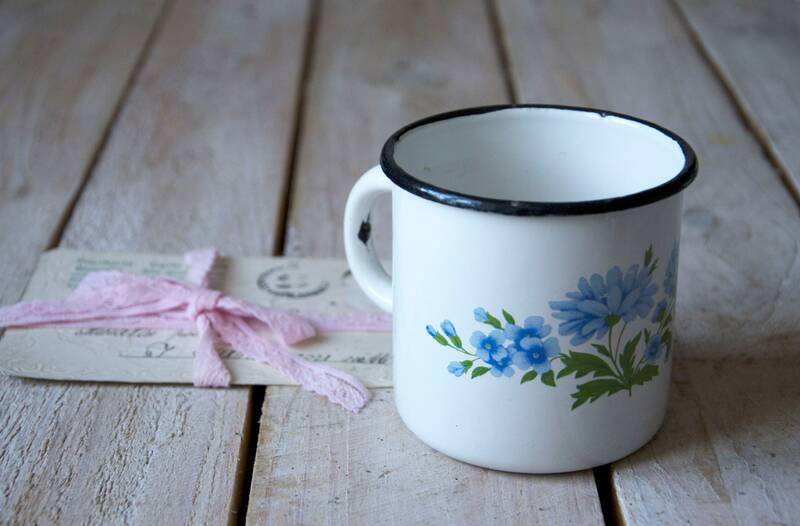 In good vintage condition with some tiny chippings and scratches on interior and outside.